Would you like to be able to negotiate like a superstar? Need a way to guarantee you always get the best deal? Negotiation is a skill that involves compromise, determination, and flexibility. It gives you the power to make people do what you want, while at the same time making them feel like it was their own idea. 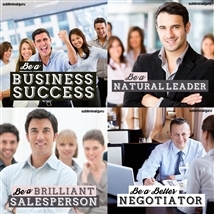 With the Be a Better Negotiator subliminal session, you'll have customers eating out of your hand! 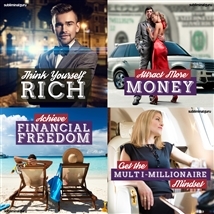 As you listen, thousands of powerful positive affirmations will influence your thinking, helping you communicate accurately and sincerely. You'll start to haggle with purpose and confidence, gently persuading customers round to your way of thinking. You'll easily find solutions that work for all parties, boosting your business abilities and your bottom line in the process. 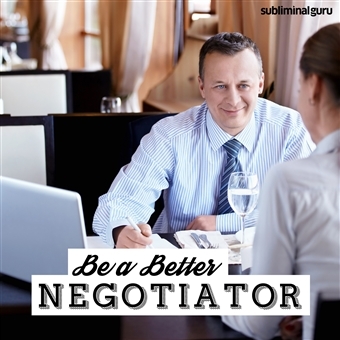 Download the Be a Better Negotiator subliminal audio now to enjoy superior negotiation skills for months and years to come. I always get the best deal. Negotiation comes naturally to me. My negotiation skills are first rate. I negotiate with confidence and flair. I can talk people round to my point of view. 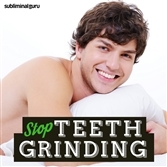 I am able to compromise and reach workable solutions. I stick at it until the deal is sealed. People admire my negotiation skills. I am a gifted negotiator. Negotiation is easy for me. I enjoy hammering out details until an agreement is reached.